It’s good to be LeBron James. 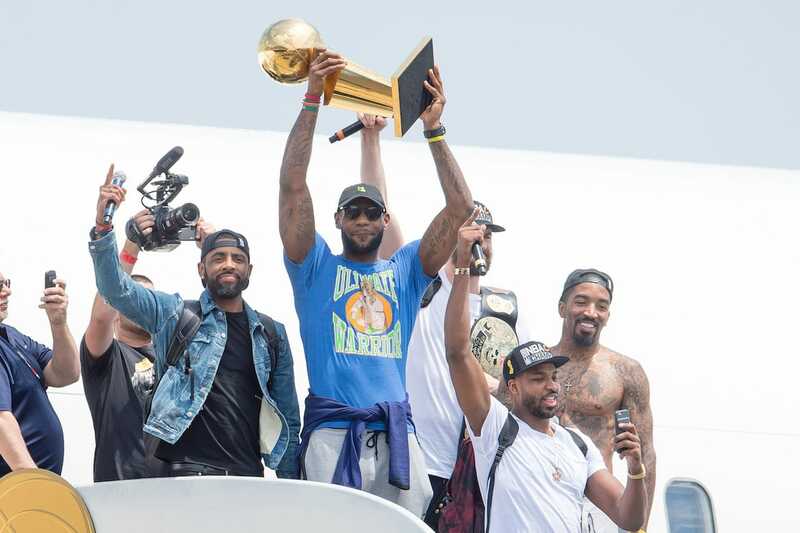 He won his third ring, earned his third Finals MVP, delivered on his promise to bring a championship back to Cleveland for the first time in 52 years, and even trolled the Golden State Warriors by stepping off the team plane decked out in an Ultimate Warrior T-shirt. Best of all, now that the Finals are over, James can finally end his yearly playoffs social media blackout, otherwise known as Zero Dark Thirty-23. On Monday, James did just that. As he celebrated with teammates and fans back home in northeast Ohio, James broke his social media silence by posting two Instagrams, one of which included a 91-word tirade dedicated to those who doubted him. After he won Game 7 on Sunday night, James revealed some of the secret motivation that carried him through this year’s Finals. Without naming names, James blasted Pat Riley and other Miami Heat operatives who said his return to Cleveland was the worst mistake of his career. Clearly, James took those words to heart, and his latest Instagram is more of the same. In other words, for the haters and losers out there, LeBron has one thing to tell you: Sad!